Read up on this year's band lineup. Buffalo Wabs and the Price Hill Hustle are a Cincinnati-based, four-piece Americana and folk band blending the traditions of heroes like Woody Guthrie and Mississippi John Hurt with contemporary flair. Their high energy and passion for the music follows them to every performance and has earned them countless fans and local awards. 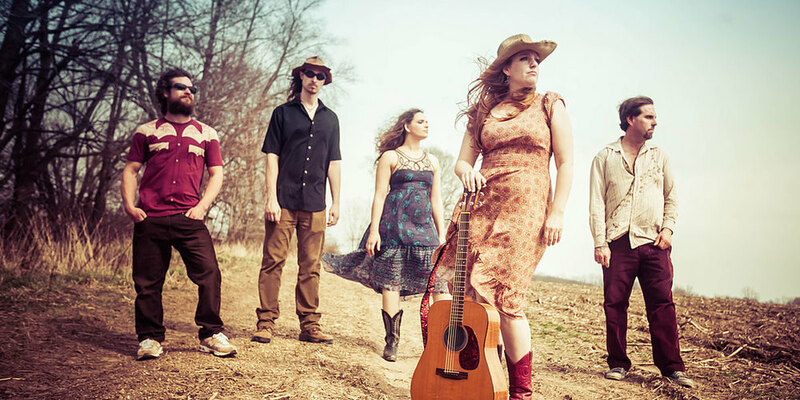 Erica Hughes and the Well Mannered plays a distinctive combination of rock, country, blues and bluegrass that delightfully appeals to the senses and helps define modern Americana. Based out of Columbus, Ohio, the band keeps audiences dancing and tapping their toes with their gritty, foot-stomping sound. Fox Valley Harvest has roots that run as deep as the Appalachian valley, where the band currently resides. The members of Fox Valley Harvest have played across the country alongside acts such as Mumford and Sons, Willie Nelson and Neil Young, John Mellencamp, Dave Matthews, Bob Dylan, the Who, Robert Plant and countless others. The band just released their debut recording featuring guest artists from ABC's hit show "Nashville," including Kenzie Wetz on fiddle and Wayne Killius on drums. 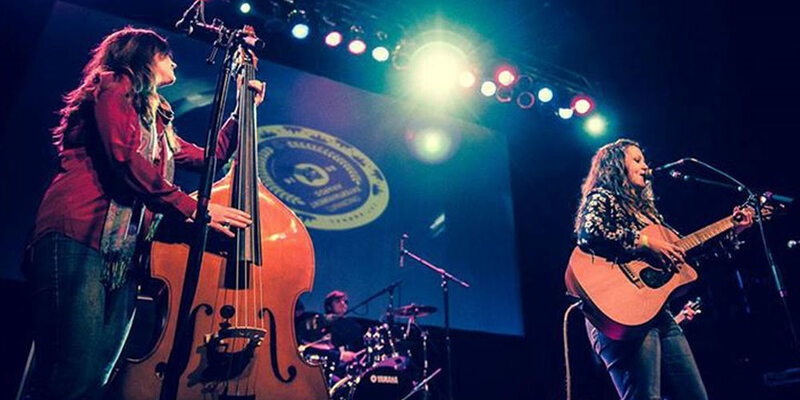 Formed in 2008, the Grant Street Grifters specialize in American folk, old time and blues. Based in southwest Pennsylvania´s Steel City, Peter Flynn (guitar/vocals) and Trish Imbrogno (double bass) are a fixture on the Pittsburgh music scene and tour up and down the I-79 corridor. A string band formed in 1999, The Hackensaw Boys draw on many musical influences and are best known for their ¨rowdy, energetic live shows.¨ Their performances at Bonnaroo, Lockń, Floydfest and the All Good Music Fest have earned them a measure of notoriety across the Mid-Atlantic for catchy melodies, classic harmonizing and string expertise. Based out of Cleveland, Joe Rollin Porter is an expert at fingerstyle acoustic guitar and vocals that transcend genre and style. Porterś live performances viscerally connect to the audience with his own arrangements of traditional American folk songs, early rural blues and occasionally a dash of Celtic flavor. Marisa Anderson is a classically-trained guitarist blending blues, jazz, gospel and country as she reimagines the American music landscape. Anderson´s work has been featured on NPR, as well as in SPIN, Pitchfork and The Wire. Noah Shull grew up near Mifflin, a rural village just south of Ashland, OH, where he heard the blues for the first time thanks to his parentś record collection. Shull concentrates on the repertory of the Reverend Gary Davis with influences of David Bromberg and Jorma Kaukonen. A native North Carolinian, Riley Baugus represents the best of old time American banjo and song. His powerful singing voice and his expert musicianship place him squarely in the next generation of the quality American roots tradition. Riley has contributed to many award-worthy albums including the Grammy-winning Album of the Year "Raising Sand" from Alison Krauss and Robert Plant and Willie Nelson's Grammy-nominated recording "Country Music." Improvisationalist singer and cellist Rushad Eggleston is truly in a class of his own—described as a legend, clown, goblin and acrobat, Rushad is one of very few bluegrass cello practitioners. Hailing from Oakland, CA, Eggleston entertains with his quick wit, unexpected musical combinations and genuinely unique performance style. The Salty Caramels will rock your socks off with their combination of sassy yet nostalgic tunes. The Columbus-based band features musicians Emily Ng, Sarah Overdier, Paige Vandiver and Molly Winters playing guitar, bass, drums, saw, kazoo, washboard, glockenspiel among other unique instrumental combinations, creating the perfect blend of salty and sweet. Founded at a Fourth of July parade in Gambier, Six Miles to Nellie features six longtime Knox County residents playing banjo, guitar, ukulele and mandolin. Their sets feature ¨Nellie-fied¨ versions of songs across a range of genres and eras as well as original compilations that keep each performance both lively and familiar. Willie Watson is a singer-songwriter, guitarist and banjo player. Formerly of Old Crow Medicine Show, Watson toured for over a decade with the folk-old time band before embarking on a solo career in 2011. Watson has been compared to Bob Dylan and Pete Seeger, but humbly prefers to describe his style as "tak[ing] songs I can relate to and that I can sing with urgency, that I can feel."